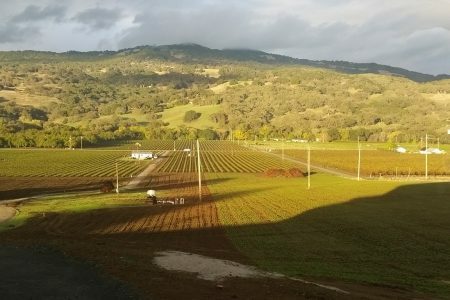 Santa Barbara County wineries offer wine and views all the time. In my last posting on Santa Barbara County wineries, I focused on those that provide picnic areas. 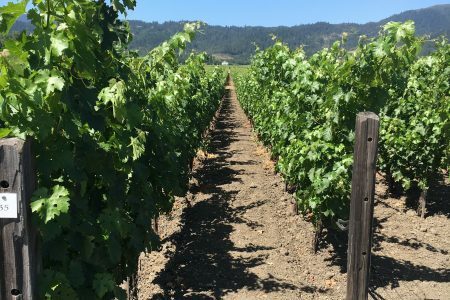 But many fine wineries in Santa Barbara County offer an inviting tasting room only, from where to enjoy the serene landscape with the contentment of a wine glass in hand. 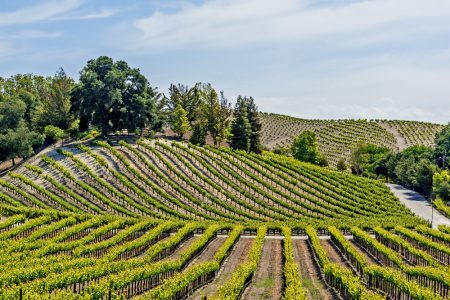 As for a picnic, you can take your bottle of crisp white wine and drive around the beautiful Santa Barbara County countryside until you find the perfect spot to spread your checkered blanket and bring out your wicker picnic basket. I have indicated women winemakers in a few wineries in Santa Barbara county. There may be more; do drop me a note if you were missed and I will gladly add your name. Rideau does offer a picnic area, but has a woman as its winemaker. My reason for indicating gender: Women holding their own in a man’s world. I raise a virtual glass to them. As always, please visit the winery’s website before you visit. Things change. Open every day, Noon – 6 p.m.
Daily Noon – 6 p.m.
Open Th – Mon, 11 a.m. – 5 p.m.
Daily 11 a.m. – 4:30 p.m.
Th – Sun, Noon – 5 p.m.; Mon 1 p.m. – 5 p.m.
Fri -Sun 11 a.m. – 5 p.m.
Open Fri – Sun, 11 a.m. – 4 p.m.
Café and Wine bar, Open Wed – Th, 8 a.m. – 8 p.m.; Fri 8 a.m. – 9 p.m.; Sat 10 a.m. – 9 p.m.; Sun 10 a.m. – 8 p.m.
Wine tasting daily, 11 a.m. – 9 p.m.
Open daily, 11 a.m. -6 p.m.
Open daily 11 a.m. – 8 p.m.; Sun 11 am. – 6 p.m.
Open Thu, Noon – 7 p.m.; Fri, Sat 11 a.m. – 7 p.m.; Sun 11 a.m. – 6 p.m.
Open Mon – Thu, Noon – 6 p.m.; Fri, Sat. Noon – 7 p.m.; Sun, Noon – 5 p.m.
Open Thu – Mon 11 a.m. – 5 p.m.
Open Thu – Sun, 11 a.m. – 5 p.m.
Open Mon – Thu 11 a.m. – 5 p.m.; Fri – Sun 10 a.m. – 6 p.m.
Sun, Mon, Wed, Thu Noon – 6 p.m.; Fri – Sat Noon -7 p.m.
Open daily Noon – 6 p.m.
Open Mon – Fri 4 p.m. – 6 p.m., Sat – Sun 3 p.m. – 5 p.m.
Open Thu – Sat, Noon – 7 p.m.; Sun – Wed, Noon – 6:30 p.m.
Open Mon – Thu Noon – 5 p.m.; Fri – Sun 11 a.m. – 5 p.m.
Open Fri – Sun Noon – 4 p.m.
Open Sun – Thurs 10 a.m. – 5:30 p.m.; Fri – Sat 10 a.m. – 7:30 p.m.
Open Wed – Sun 11 a.m. – 5 p.m.
Daily 11 a.m. – 6 p.m.
Open Fri – Mon 11 a.m. – 5 p.m.; Thu 1 p.m. -7 p.m.
Daily 11 a.m. – 5 p.m.; Sat 11 a.m. – 6 p.m.
Open Mon, Thu 1 p.m. – 4 p.m. ; Fri – Sat 11 a.m. – 5 p.m.
Open daily 11 a.m. – 6 p.m.; Fri until 9 p.m.
Thu – Mon Noon – 5 p.m.; Sat – Sun 11 a.m. – 5 p.m.
Open Thu – Sun 11:30 a.m. – 5 p.m.
Open Thu – Sun 11 a.m. – 8 p.m.
Sun – Thu 10 a.m. – 5:30 p.m.; Fri – Sat 10 a.m. – 7:30 p.m.
Open Thu – Mon 12:30 p.m. – 5:30 p.m.
Open Fri – Sun 11 a.m. – 4 p.m.
Fri – Sun 10 a.m. – 5 p.m.